Example: Petite Rouge. 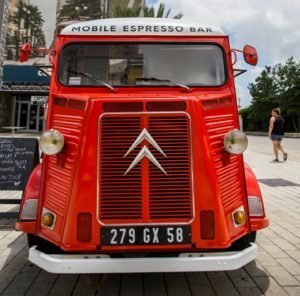 A classic 1970 Citroen H-Van (previously used as an ambulance truck in France), transformed into a mobile espresso bar that serves coffee and other tasty beverages throughout the city. 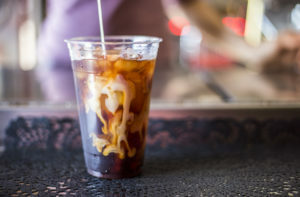 According to founder Julie Anne Pieri, in addition to a classic cold brew, a few customer favorites include the hibiscus ginger sweet tea, the basil sweet tea, and the frozen crush. “If it’s really freaking hot and I’ve already had enough caffeine for the day, I really like to drink the hibiscus iced tea; I’ll add our lavender syrup that’s really good,” said Pieri. 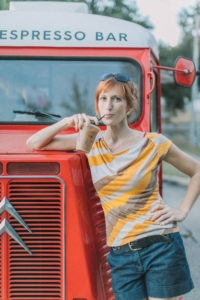 She attributes the yumminess of Petite Rouge beverages to the use of syrups that are made fresh in-house, as well as the use of local products such as coffee beans roasted by French Truck Coffee, raw sugar from Three Brothers Farm, and dairy from Mauthe’s Progress Milk Barn. Previously a bartender in both New Orleans and New York, Pieri no longer wished to do that full-time. “I still wanted to make drinks, but I didn't want to just make people tipsy anymore, all the time,” she explained. With the combination of her bartender skills and customer service experience, and Schmiederer being a film industry teamster who is knowledgeable of the upkeep/maintenance necessary on the vehicle, she knew they’d be a dynamic duo. After two and a half years of planning and saving, and after purchasing an in-perfect-condition old French ambulance that was stationed in New Jersey, Petite Rouge began cruising the streets of New Orleans in the fall of 2015 and has thrived ever since. 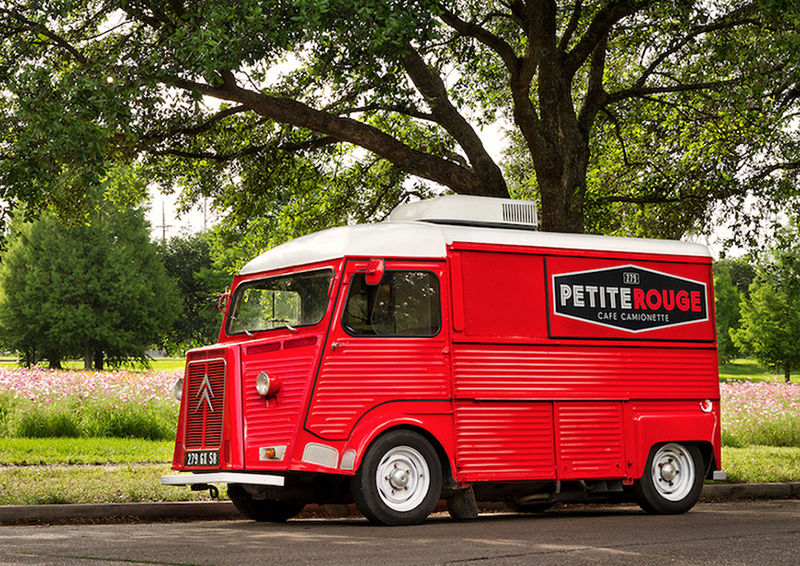 As of now, you can catch Petite Rouge every Tuesday and Thursday at the Children's Hospital and, for the duration of the summer, in front of the Ace Hardware store on Magazine Street Fridays through Sundays (unless they are scheduled for an event). You can also find drinks being mixed at events such as the Palmer Park Art Market that occurs the last Saturday of every month, at various festivals, and at private bookings. 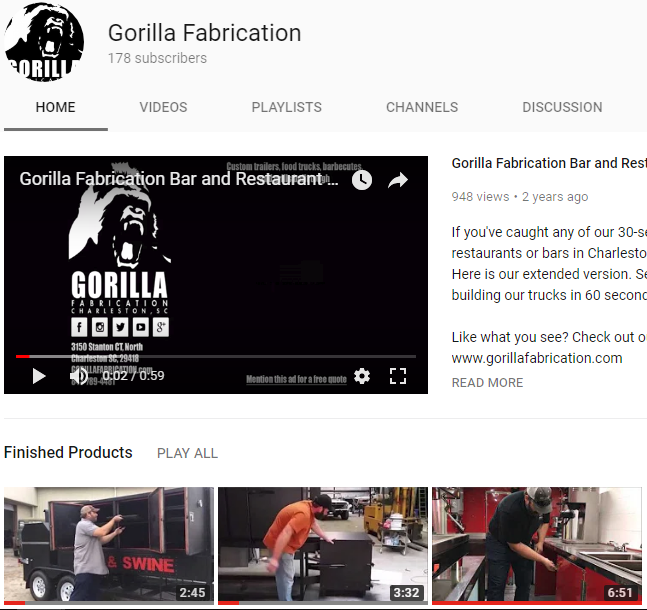 The next step for Pieri and Schmiederer will be to get their already-purchased second truck up and running; it will be used primarily for special events. “We want to do more weddings and stuff, and we could have double-booked ourselves so many times if we had had a second truck,” she explained. The currently used espresso truck is widely known for its red vibrancy that can be spotted hundreds of feet away. But Pieri said that the color of espresso truck number two remains a surprise! For more info or a private booking, visit petiterougecoffeetruck.com, and check out their Instagram account: @petiterougecoffeetruck.